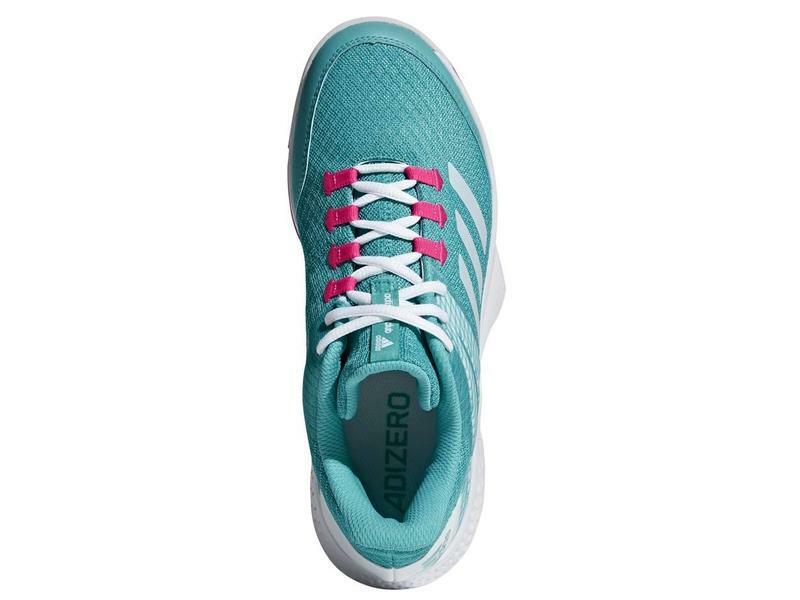 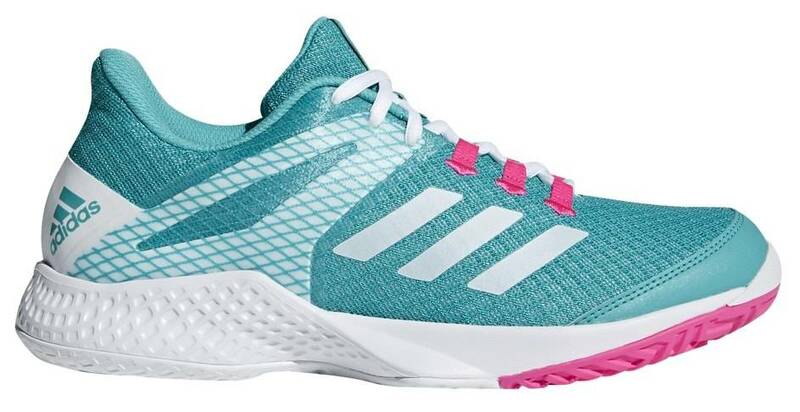 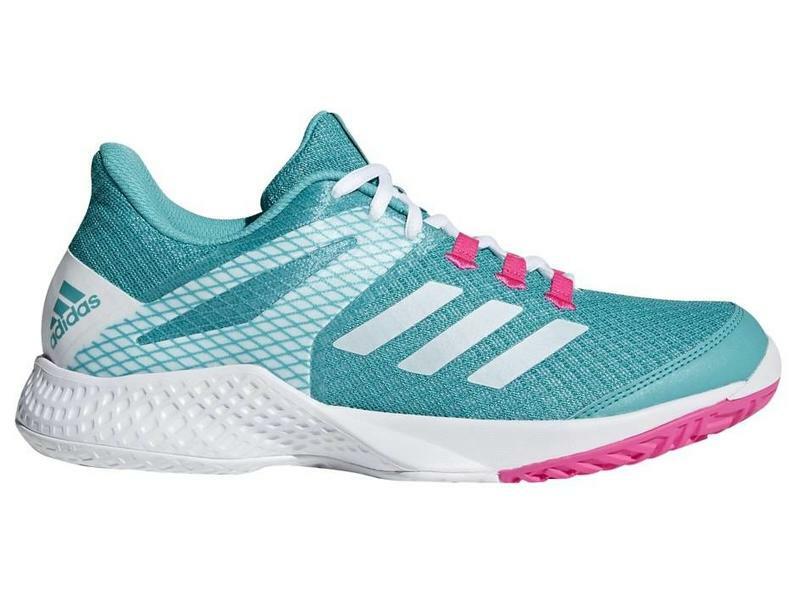 This Hi-Res Aqua and White adizero Club 2 keeps you cool on those hot days. 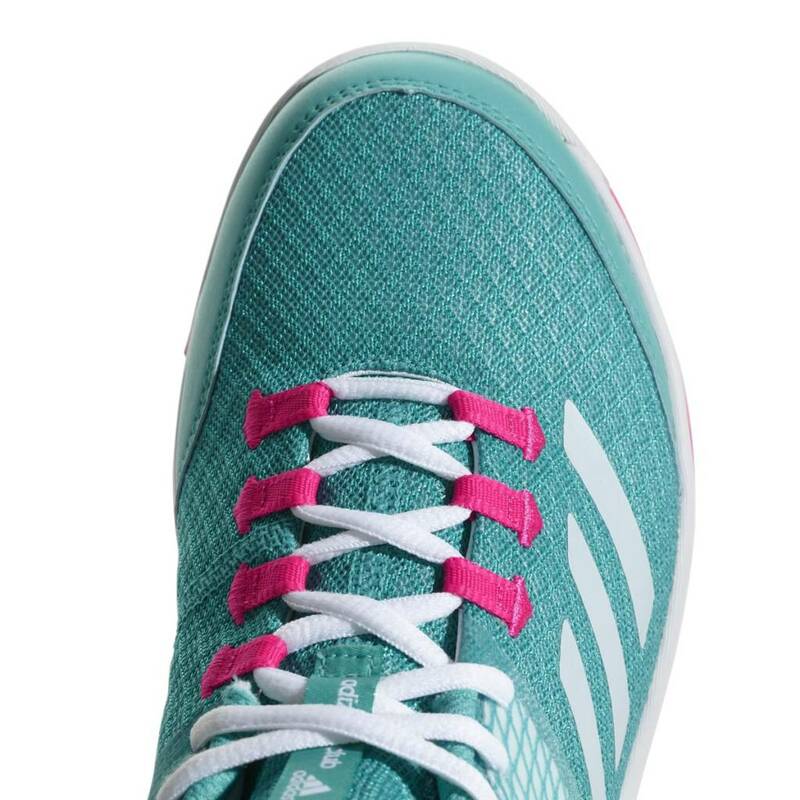 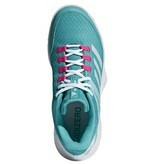 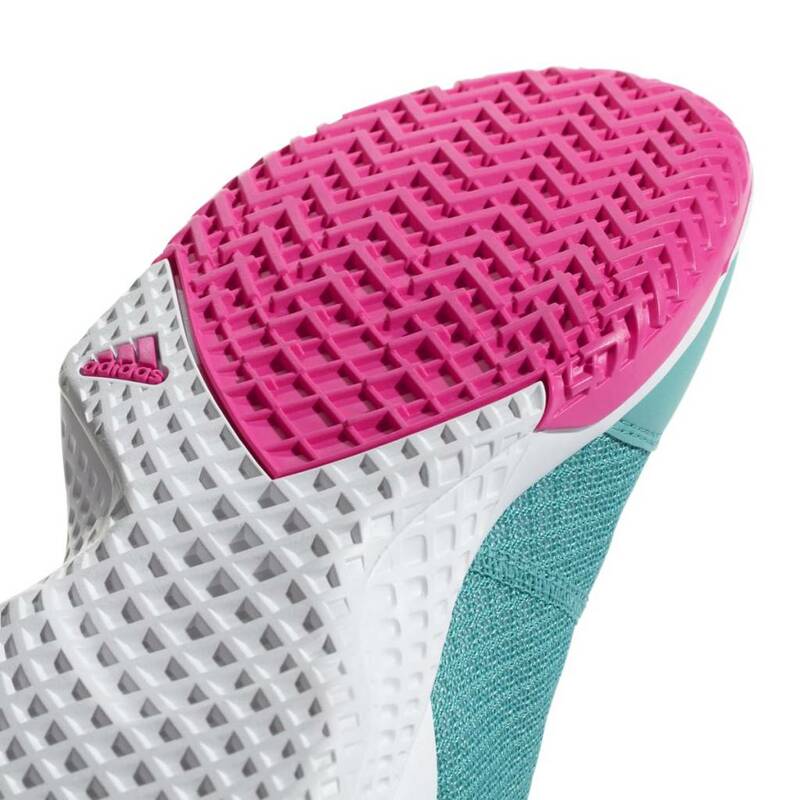 The ClimaCool technology gives the shoe its polyester/mesh upper construction, making this shoe both extremely lightweight and breathable. 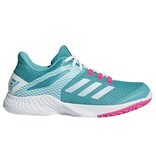 A great shoe for quick and aggressive players. 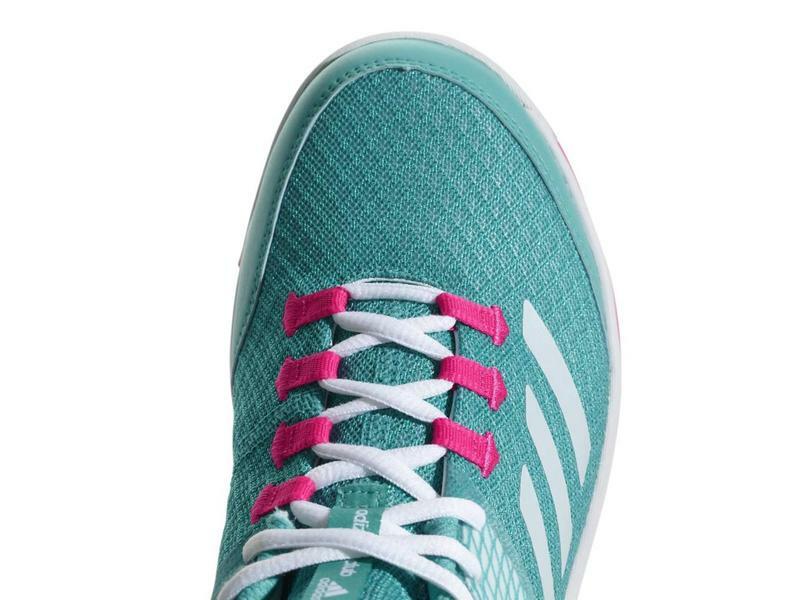 Focusing greatly on adaptive fitting, this shoe fits comfortably with leaving space in all the right places. 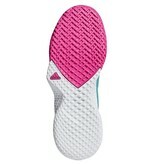 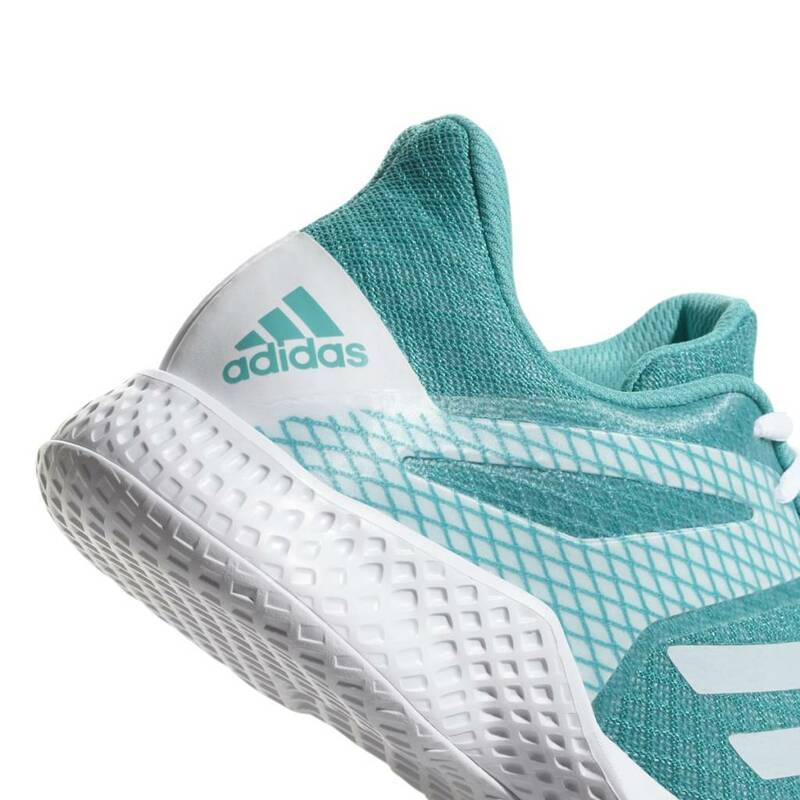 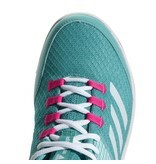 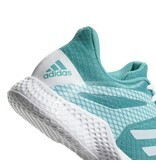 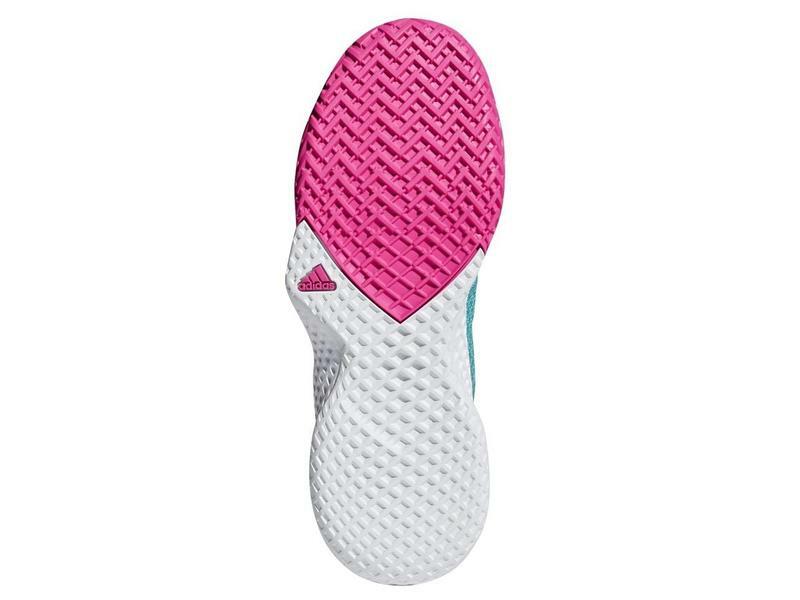 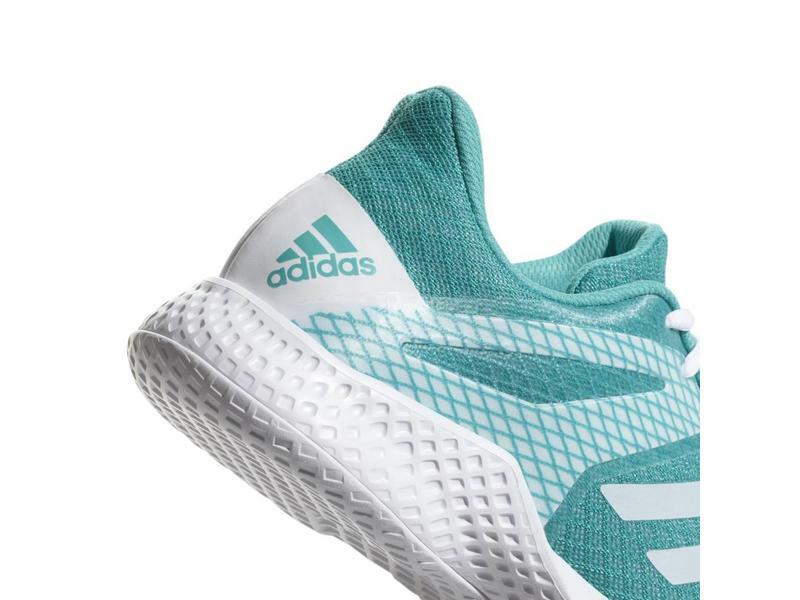 This shoe also comes with adiprene+ cushioning to absorb those heavier impacts. 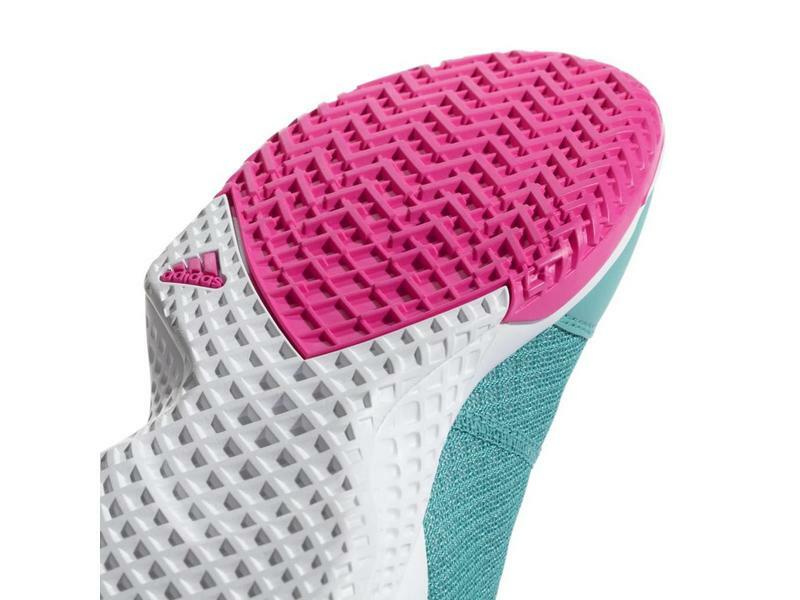 The toe features adituff technology. 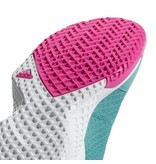 adituff is a combination of a toe guard and supportive reinforcements to protect the shoe from abrasive wear.